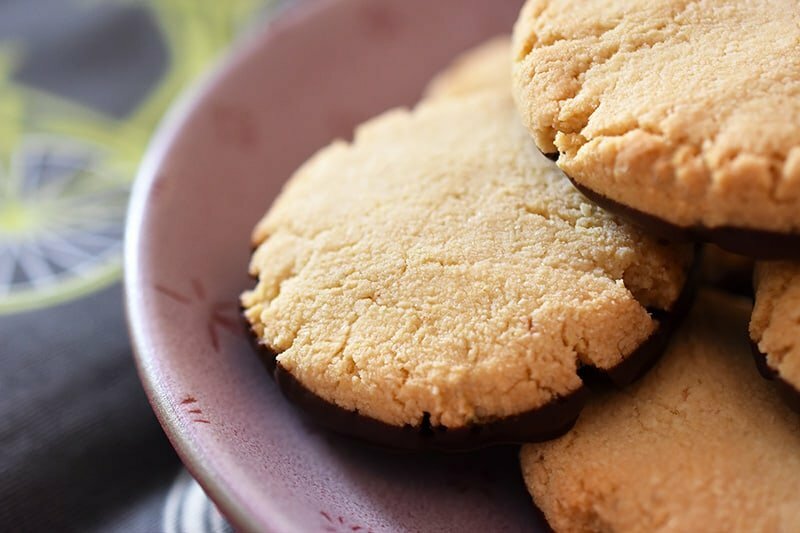 Yes, these delicious crunchy almond flour cookies are the world’s easiest cookies to make and they happen to be paleo, vegan, gluten-free, and grain-free! 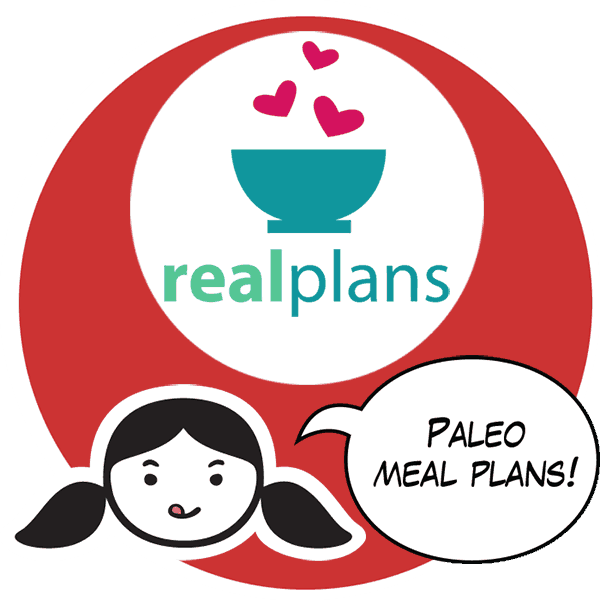 Longtime readers know that they won’t find many Paleo desserts on my blog or in my cookbook or app. It’s not that I don’t enjoy the occasional sweet treat; I’m an admitted recovering sugar addict, after all. I’m just not a baker. I don’t have the patience or talent for it, and it’s probably for the best. I’d much rather tweak a cauliflower recipe over and over again than try to figure out how to make the perfect Paleo pastry—especially ’cause I’d be tempted to eat up all of my failed baking experiments. That’s also why whenever I bake, I rely on experts who have perfected the craft, so that I’m guaranteed a satisfying treat on the first try. One of those experts is Elizabeth Barbone. 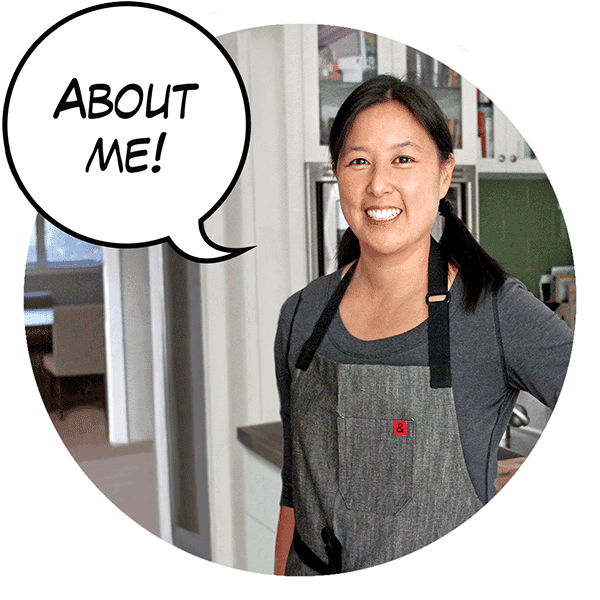 She’s a bona fide gluten-free baking authority: a graduate of the Culinary Institute of America with a degree in baking and pastry arts, the author of multiple cookbooks, and prolific blogger. 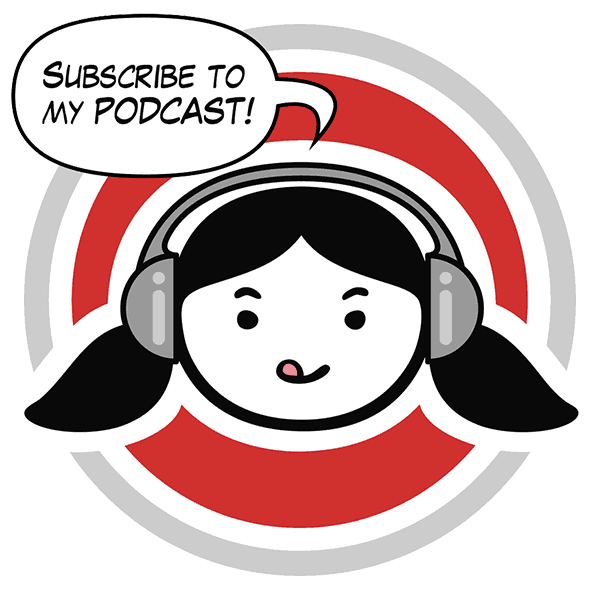 I met Elizabeth years ago when we both attended a food blogger conference at Disney World. One morning, we ended up in the same ferry heading to the Magic Kingdom; as our boat chugged across the water, we chatted about our respective blogs. As soon as she told me she was a gluten-free baker, I asked if she’d ever dabbled in grain-free treats given the growing demand for them. Elizabeth told me that she hadn’t, but her interest was piqued. 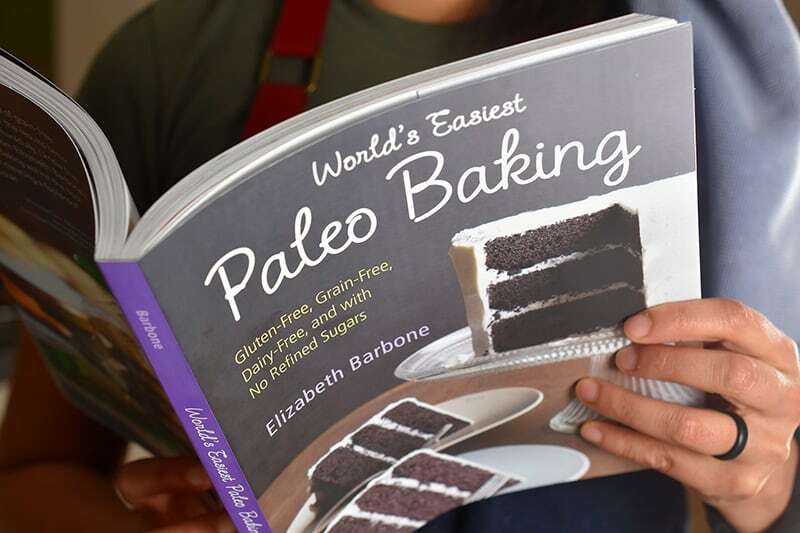 According to Elizabeth, our casual conversation on that fateful morning sparked the idea for her new cookbook, World’s Easiest Paleo Baking. I was lucky enough to receive a preview copy of Elizabeth’s cookbook, and was instantly hooked by the straightforward, crave-worthy recipes. 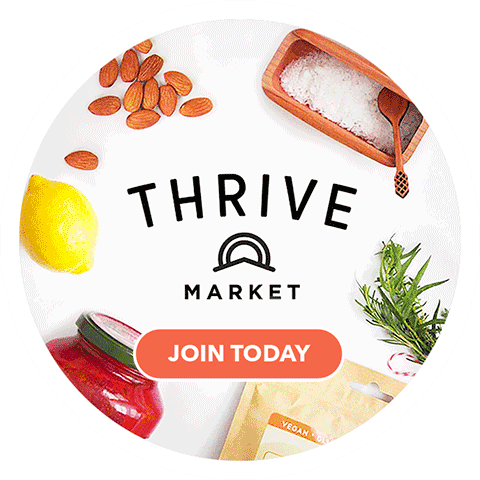 The recipes are simple yet precise, covering everything from Cinnamon Streusel Coffee Cake to fresh pasta dough. 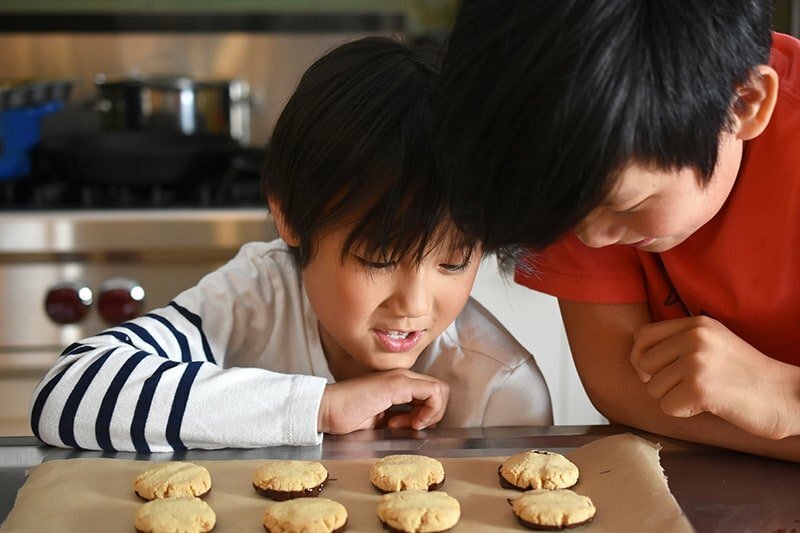 As the kids and I flipped through the pages, the very first recipe that leaped off the page was Elizabeth’s “The World’s Easiest Cookies.” With a name like that, how could I resist? 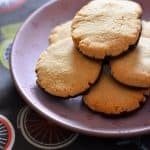 With Elizabeth’s permission, I’ve posted her easy-peasy cookie recipe below for you lucky ducks. Her cookies are fantastic as-is, but if you want to dress ’em up a bit, you can dip the bottoms in melted chocolate. 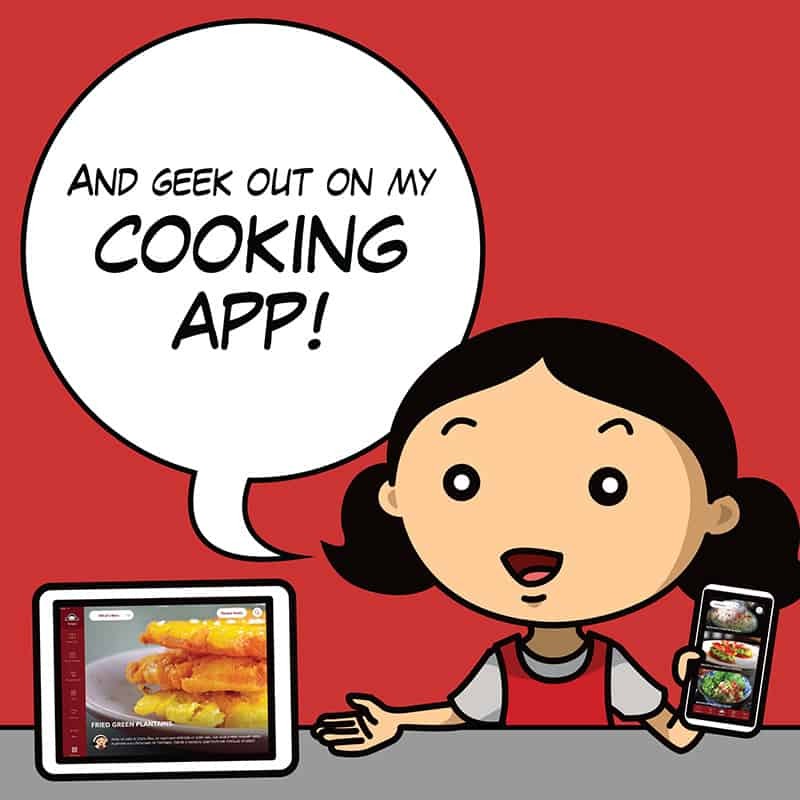 Arrange the oven rack in the middle position and preheat the oven to 350°F. 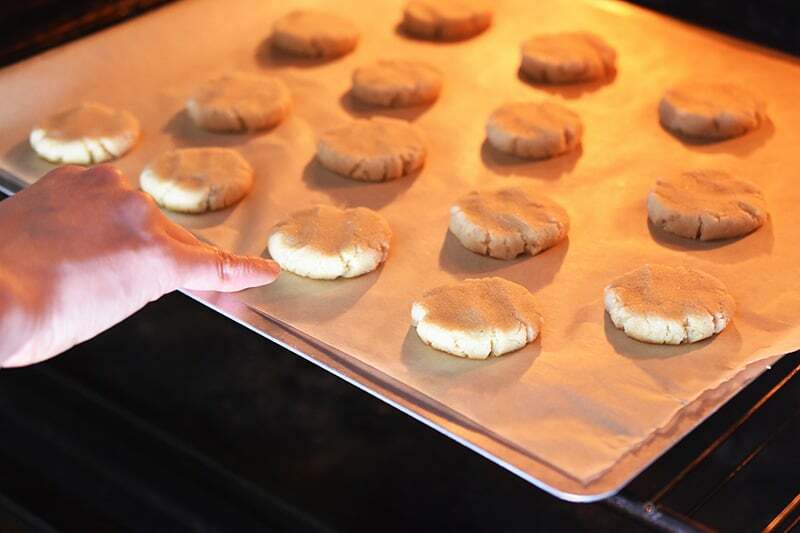 Line a cookie sheet or rimmed baking sheet with parchment paper and set aside. 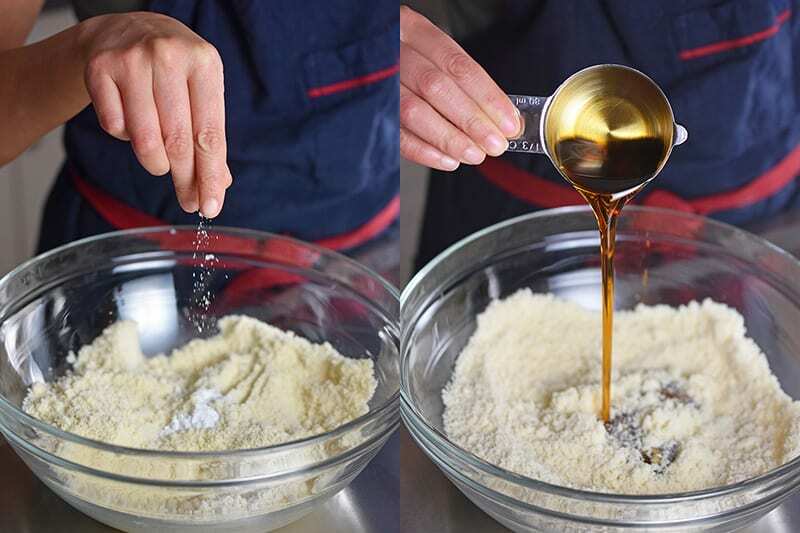 In a large bowl, whisk together the almond flour, baking powder, and salt. 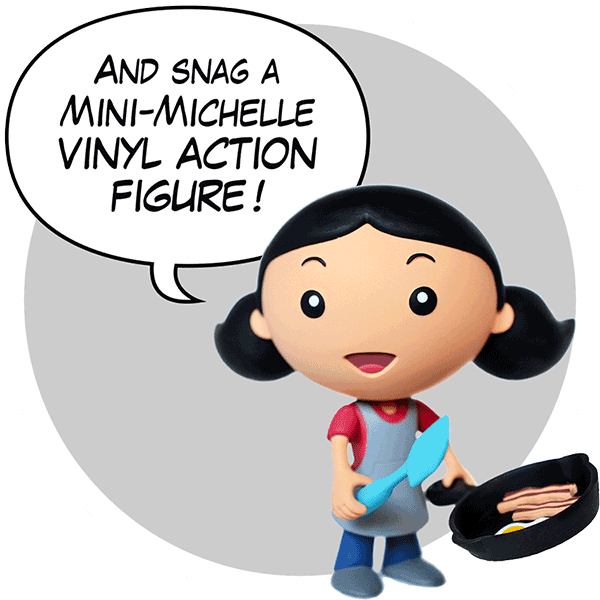 Switch to a silicone spatula or wooden spoon and stir in the maple syrup and vanilla. Mix until a sticky dough holds together. …and roll it into a round ball and place on the prepared baking sheet. Repeat with the rest of the dough, placing each ball about 2 inches apart. Place the tray in the oven and bake for about 12 minutes, turning the tray 180° at the the halfway point. The cookies are ready when the edges are golden brown. Transfer the cookies and parchment paper onto a wire rack, and let ’em cool completely. SEE? THEY’RE THE WORLD’S EASIEST! While the cookies are cooling, prepare the chocolate. Use a sharp serrated knife to cut the chocolate into small shards on the diagonal. 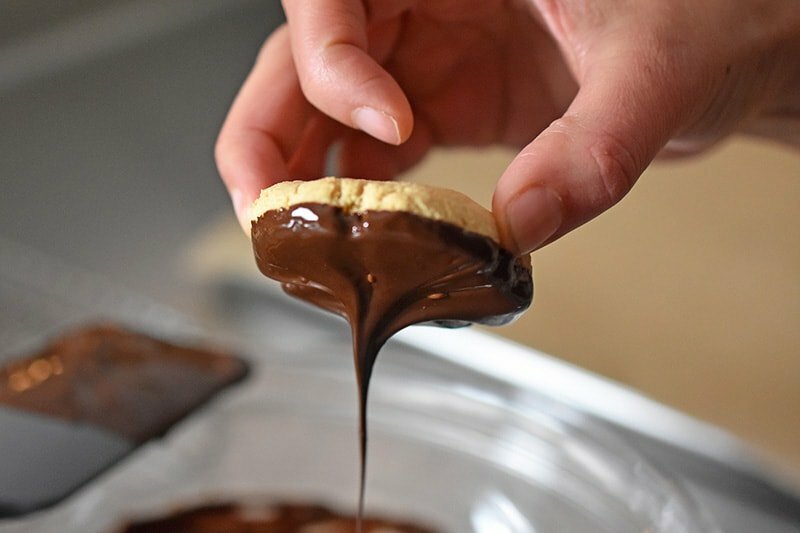 This step might seem like a chore, and you’re gonna have to flex your muscles, but the chocolate will melt faster and more evenly once it’s properly chopped. Place the chocolate shards into a glass mixing bowl. 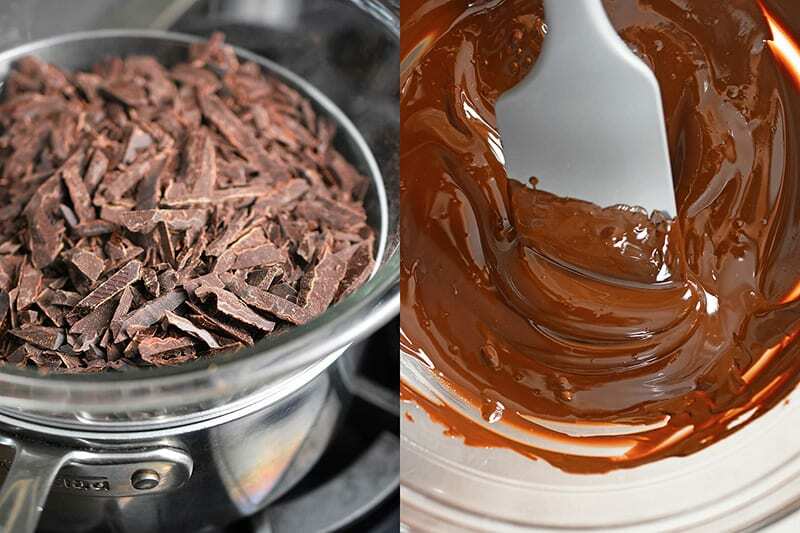 You have two options for melting the chocolate: use a double boiler or a microwave. Most folks don’t own a double boiler, but you can make your own by grabbing a metal or glass bowl that fits snugly in a medium saucepan. Fill the saucepan with about two inches of water and bring it to a simmer. Place the bowl on top of the saucepan, making sure that the water never touches the bottom of the bowl. For those of you who use a microwave oven, you can melt the chocolate by zapping it on high for 30 seconds, and stirring well to evenly distribute the heat. Repeat and stir until smooth. If the chocolate’s not totally melted after a minute, repeat in 15 second increments. Be careful not to overcook it! 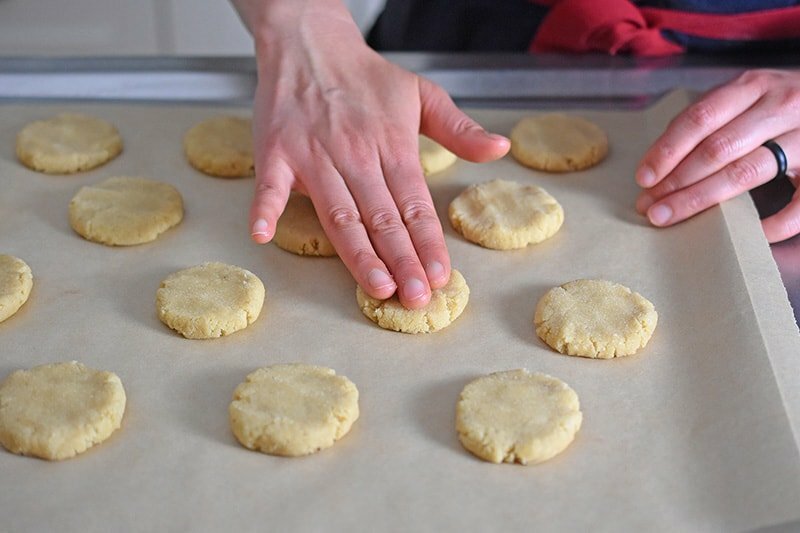 Place another piece of parchment paper on a cooled cookie sheet or rimmed baking sheet. When the cookies are completely cooled, dip the bottoms of each cookie onto the chocolate to coat the bottom. Place the cookies, chocolate-side down on the parchment lined sheet. Repeat until finished. If you’re feeling fancy, you can drizzle melted chocolate on top. I have no cookie decorating skillz, so I leave them alone on the top. You can leave the cookies in a cool spot for the chocolate bottoms to harden or place the tray in the refrigerator for 30 minutes. 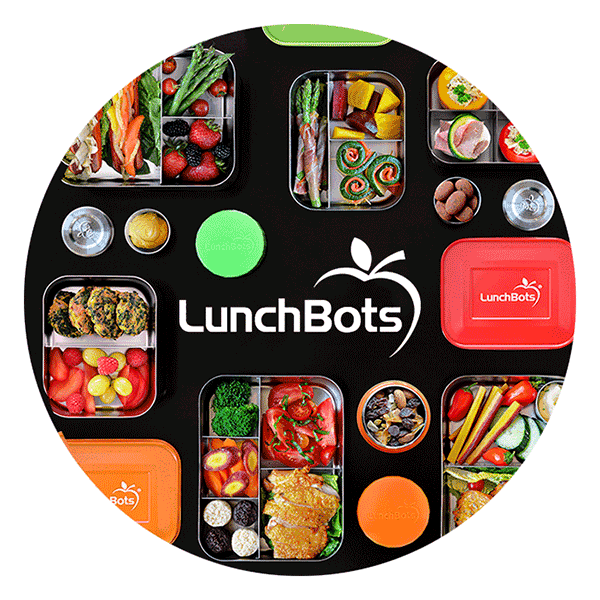 Store the cookies in an airtight container for up to 3 days at room temperature or place in a freezer container for up to 6 weeks. 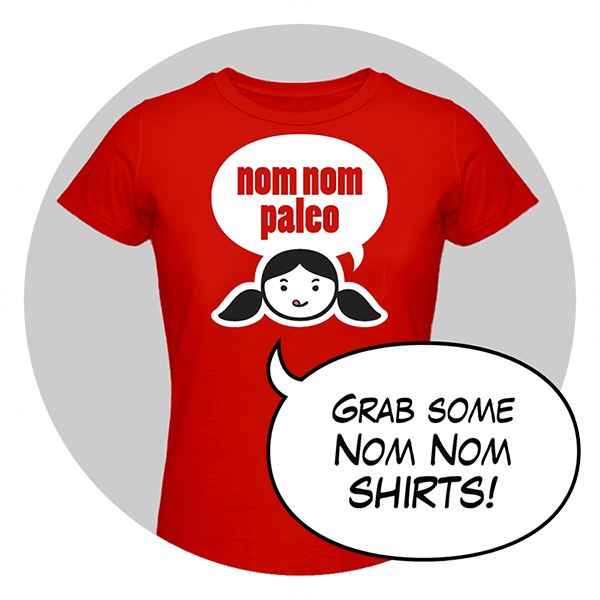 Hankering for more foolproof Paleo treat recipes? 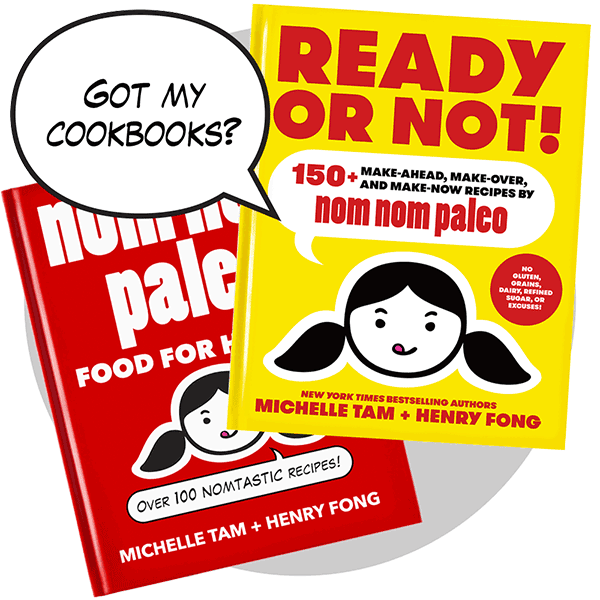 Go get Elizabeth’s cookbook, World’s Easiest Paleo Baking! 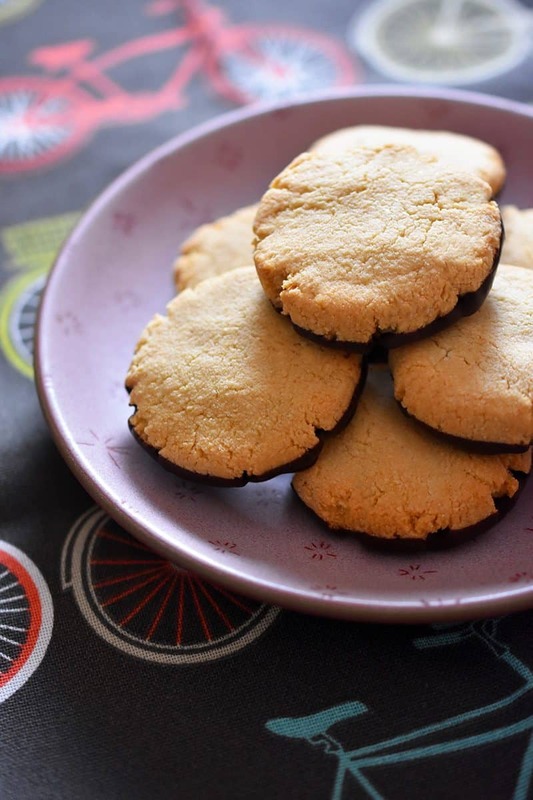 These delicious and simple grain-free Paleo cookies will please your whole family! 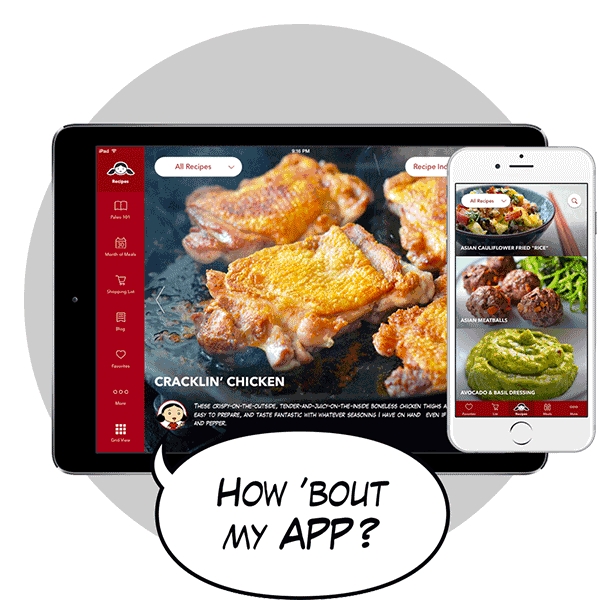 They're also gluten-free, egg-free, and vegan! 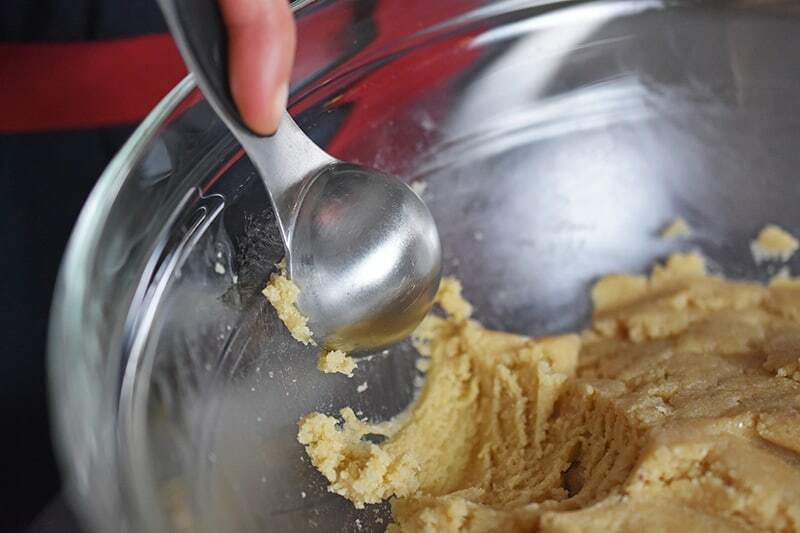 In a large bowl, whisk together the almond flour, baking powder, and salt. Switch to a silicone spatula or wooden spoon and stir in the maple syrup and vanilla. 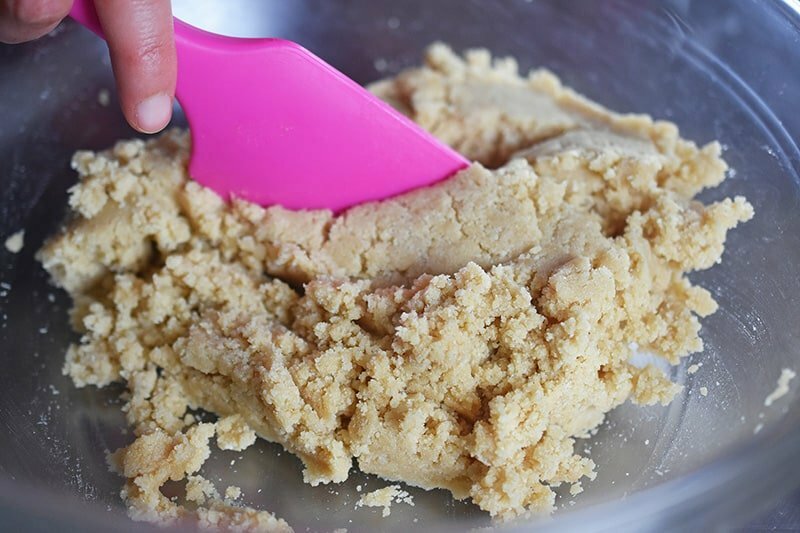 Mix until a sticky dough holds together. 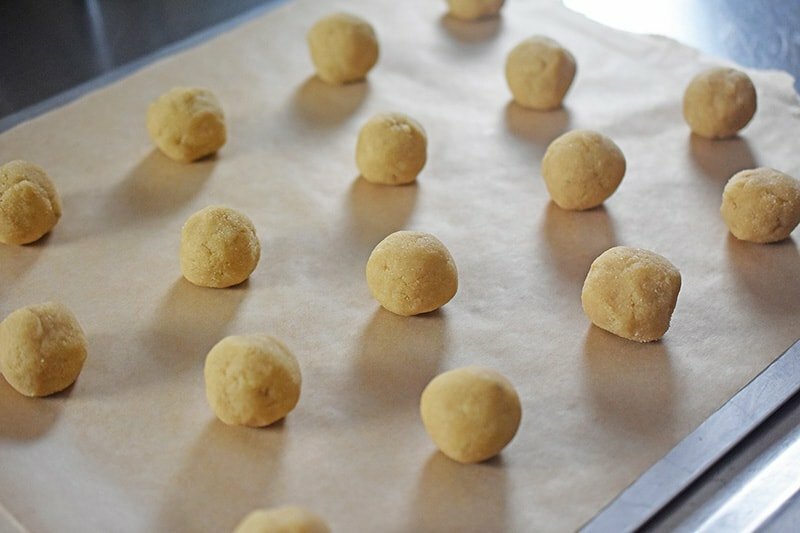 Scoop a tablespoon of the dough, and roll it into a round ball and place on the prepared baking sheet. Repeat with the rest of the dough, placing each ball about 2 inches apart. 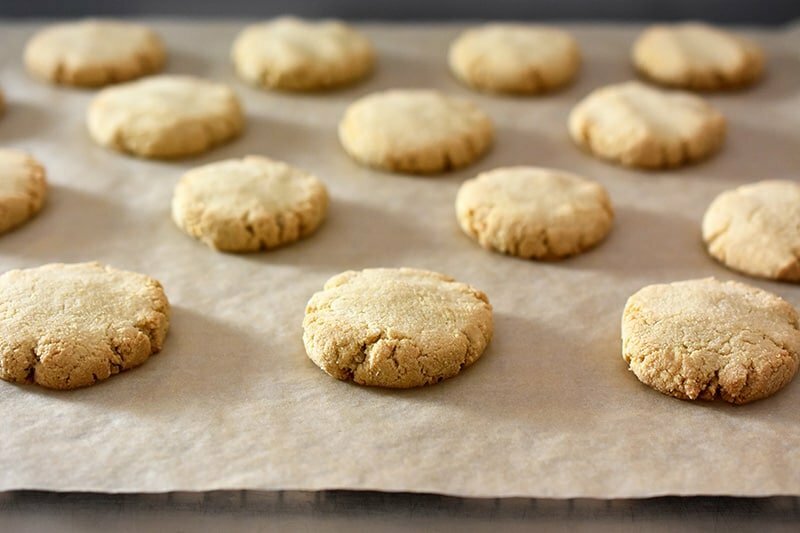 Place another piece of parchment paper on a cooled cookie sheet or rimmed baking sheet. When the cookies are completely cooled, dip the bottoms of each cookie onto the chocolate to coat the bottom. 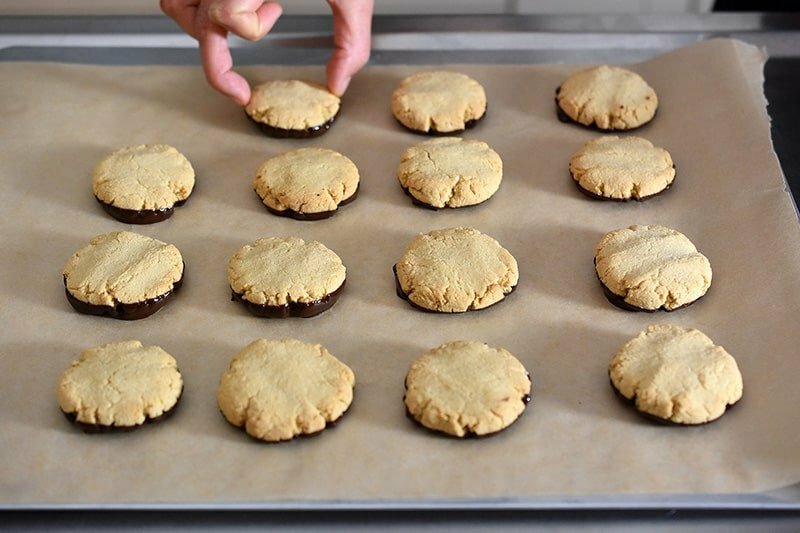 Place the cookies, chocolate-side down on the parchment lined sheet. 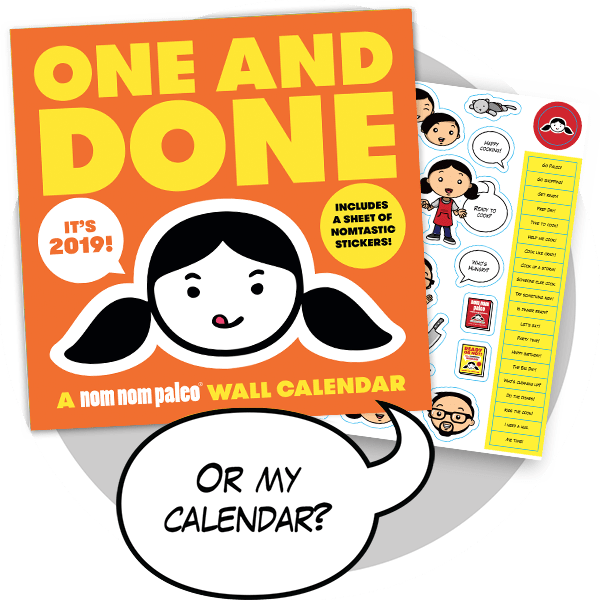 Repeat until finished.